Over recent years, as the Irish property market has recovered, complexes of artists’ studios have closed all over Ireland, though the concentration of property interests in Dublin has seen the capital particularly affected. 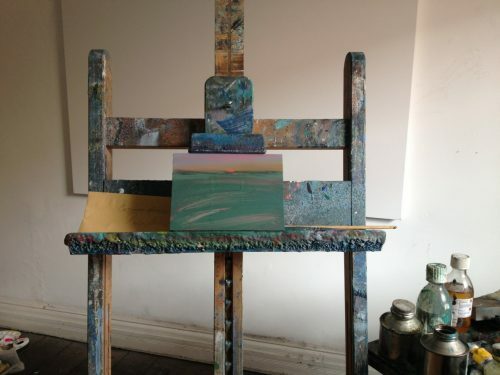 Recent accounts suggest that as much as 50 per cent of studio space may have been lost, either to redevelopment or rent hikes; these range from the homegrown warehouse spaces, which sprang up during the recession, to longstanding professional studio hubs providing space for Ireland’s most established visual artists. It has been framed as a familiar, maybe inevitable process: artists provide both maintenance and cachet for vacant or unsaleable space during hard times, only to be ejected when prospects improve. This can induce a degree of fatalism, as if the interests of property speculators were insuperable – which is, in fact, how they are often treated in this country. Yet this need not be the case. On the contrary, this pattern should indicate a serious (and rectifiable) failure on the part of policy-makers to support a sector often enlisted for political grandstanding – about Irish ‘achievements’ – abroad. Such infrastructural failings are longstanding, but there are specific reasons why the current crisis marks an escalation of the problem. The recent ‘recovery’ of the property market in Ireland – in fact, a very different market to its predecessors – has seen the arrival of vulture funds and the widespread hoarding of property by developers. This has led to a grotesquely skewed, profiteer-driven free-for-all, with massive increases in evictions and homelessness. The National Management Asset Agency (NAMA) , the ‘bad bank’ established by the state in 2009 to effectively underwrite the then-failing property market, has been accused of contributing to this overall housing crisis, to which the studio shortage is naturally connected. In the face of such systemic dysfunction, protest has been made to feel somewhat futile. In recent months, however, objecting voices have begun to be heard, prompted in particular by the closure of Broadstone Studios, one of the longest-established complexes in the city. Broadstone had been home to many of Ireland’s most prominent artists, among them Gerard Byrne – Ireland’s representative at the 52nd Venice Biennale in 2007 – who has written of the damaging effects of recent closures upon the ecology of the Irish art world. 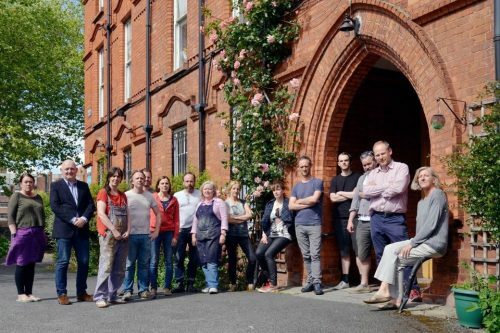 Byrne is one of a number of artists and activists – among them Broadstone’s founder, Jacinta Lynch and Helen Carey of of Fire Station Studios – who, in July 2015 formed the Creative Spaces Collective (CSC) to campaign for better support of studio and production space. Earlier this month, councillors met for a final review of the draft Dublin City Development Plan, 2017–22. Ahead of this, the CSC petitioned for a number of amendments, including guaranteed studio provision in new developments, consultation with artists, and recognition of Culture and Heritage as a zoning objective (meaning a commitment to a minimum percentage provision). Two city councillors, Rebecca Moynihan (Labour) and Claire Byrne (Green), have been particularly supportive of the campaign, tabling a motion to increase studio supply and include art spaces in the Council’s mixed-use scheme; this was passed on 31 May 2016. This is a positive step, strengthening the position of the arts in the planning process and decreasing the sector’s traditional, problematic reliance on ‘goodwill’. The CSC has been part of a wider groundswell of protest in recent weeks, following the downgrading of departmental representation for the arts, discussed recently by Robert O’Byrne. In the government’s defence, the Minister in charge, Heather Humphreys, has pointed to (questionable) increases in funding levels (which nevertheless remain among the lowest in Europe). Without a properly functioning ecosystem to enable support, representation, and career development, professional realities for artists in Ireland will continue to give the lie to officially propagated representations abroad of a ‘thriving’ Irish arts scene.